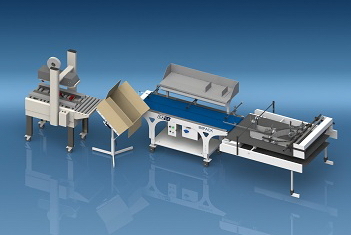 Backward tilting case support for packing included. Adjustable service shelves with integrated lighting. 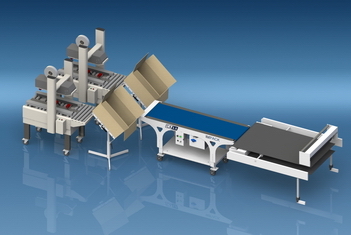 The Ergosa™ Pick & Place Packer is ideal for complex folder gluer lines with very short runs and many type of cartons. 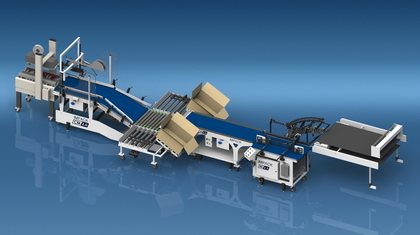 It offers simple flexibility and when combined with the IN1.6 carton turner allows higher production speeds on straight line cartons at a low investment with only one person packing on the PP1 model and 2 person packing on the PP2 model.